Hey everyone, since I’ve posted my Hair Care Regiment I wanted to list the recipes and my personal review of it. 🙂 This recipe and review will be about my Thick and Creamy Pomade & my Silky Smooth Shea Butter Moisturizer. 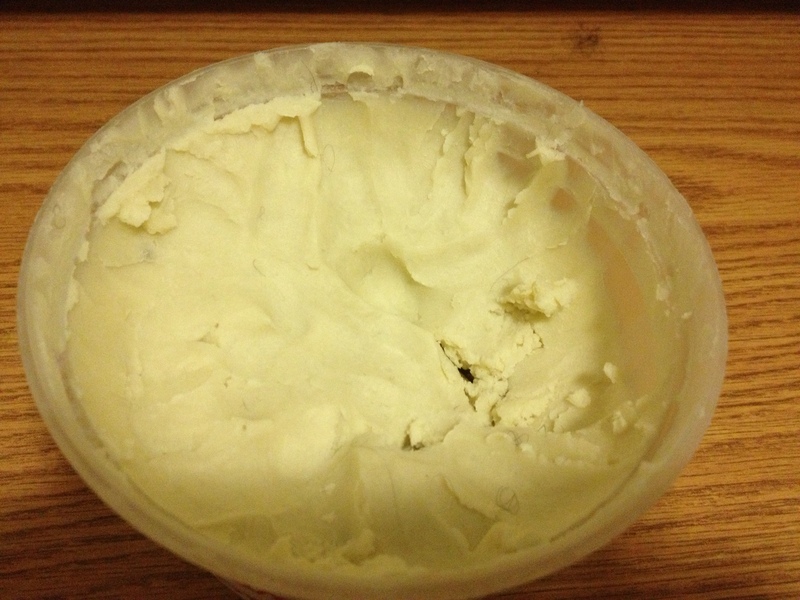 I’m using Naptual85’s Natural, Homemade Fluffy and Creamy Shea Butter Cremes recipe. 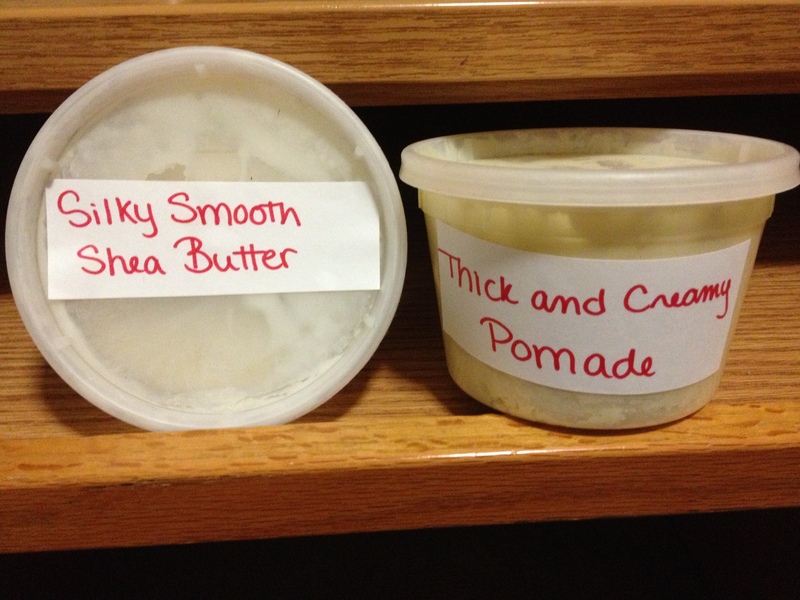 While she calls them the Thick and Fluffy Pomade and Silky Smooth Everyday Cream, I refer to them as Thick and Creamy Pomade and the Silky Smooth Shea Butter Moisturizer. I really don’t know why I just do, however, you can call them whatever you like. 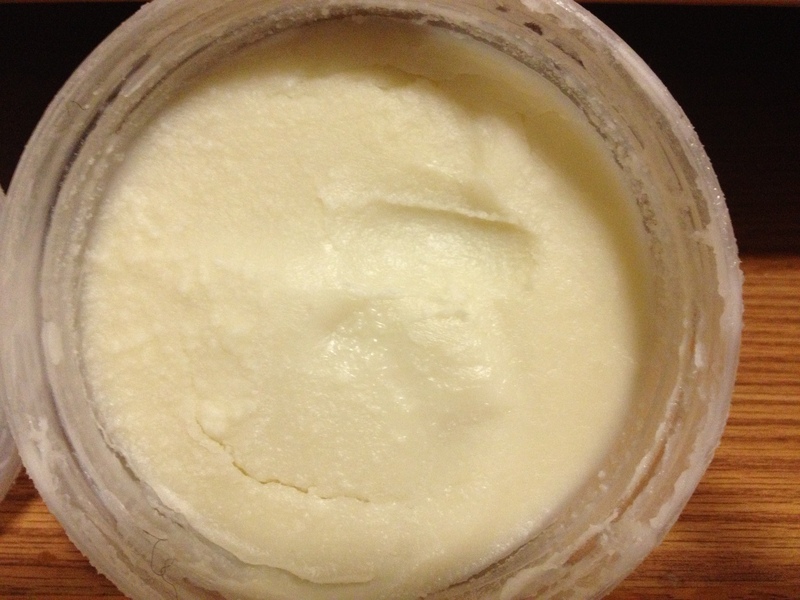 Step One: Place the room temperature and softened unrefined Shea Butter in the glass bowl. Step Two: Add the coconut oil, olive oil, castor oil, jojoba oil and Vitamin E to the mixture. Make sure to add only compliments of the oils to the Shea Butter. Step Three: Mix together all ingredients thoroughly with your hand mixer. But, if your Shea Butter is soft enough you can mix everything by hand. Step Four: Mix until it’s thick, creamy, and fluffy. Step Five: Place your mixture into the container of your choice. Step One: Fill the container of your choice half way with coconut oil. Step Two: Place the container in the microwave to soften the coconut oil. Try not to melt the oil completely, this step is to soften the coconut oil to make the moisturizer easier to mix. Step Three: Add the castor oil, olive oil, jojoba oil and a dollop of the Thick and Creamy Pomade to your softened coconut oil. Step Five: Look for a trace from the mixture on your knife or spoon. 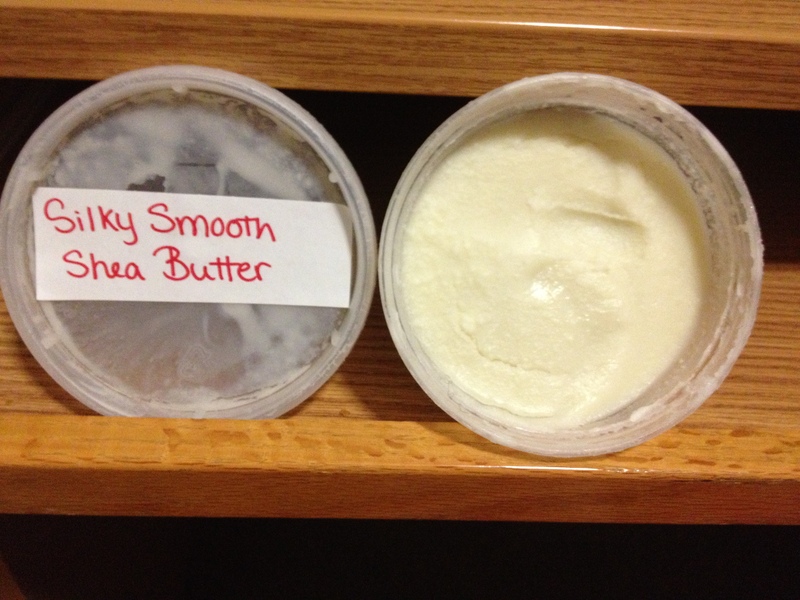 If there’s no trace, your mixture is to liquified and needs more Thick and Creamy Shea Butter Pomade. 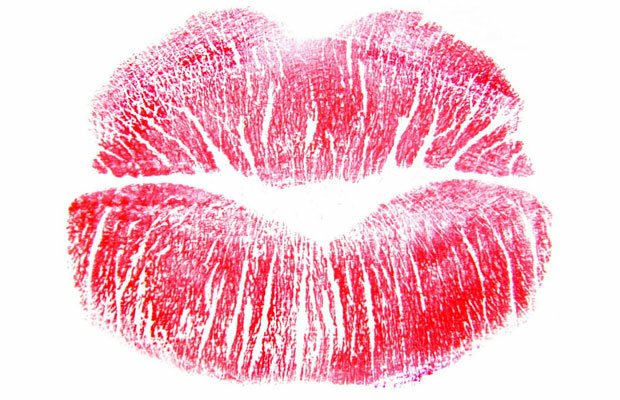 Use at your judgment and digression. Step Six: Once your mixture leaves a trace on your knife or spoon, leave it in room temperature to solidify. The Thick and Creamy Pomade is great way to add moisture back in your hair after your washing regiment. The thickness of the pomade adds that extra moisturizer your hair is stripped of after a thourough cleansing treatment. I’ll only use the Thick and Creamy Pomade after I wash my hair or when it’s beyond dry….like the cracks in the Sahara Desert dry. After I wash my hair and I’m sectioning my hair for my twist-outs, I’ll put a small amount of the pomade on my scalp and a small section on my hair. For my entire head I’ll only use a tablespoon….maybe not even that much. Even using that small amount, I wouldn’t have to re-moisturize my hair for a couple of days. This mixture is nice and thick, and the holds my twist-out together amazingly. I get a healthy shine that I don’t get from any other moisturizer. It’s not greasy or heavy and it doesn’t leave my hair dry at the end of the day. 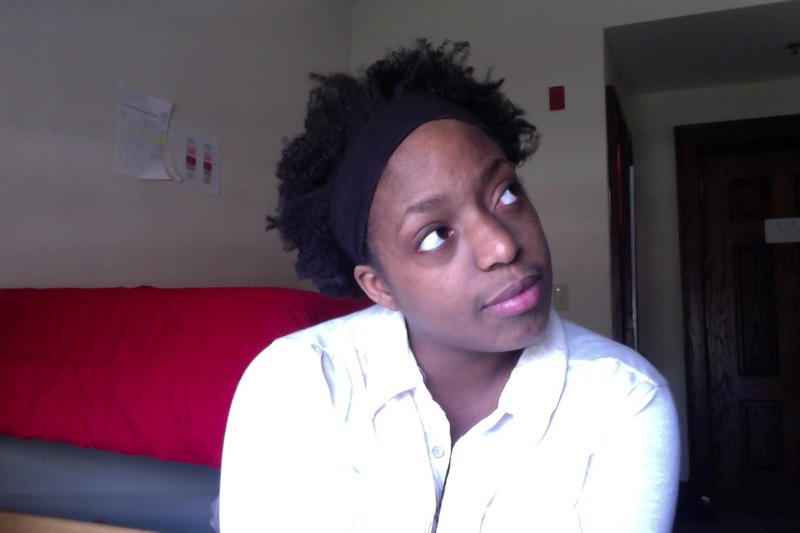 My hair is as moisturized when the day started as when it ended. It’s a perfect after washing moisturizer. MY DAILY AND EVERYTHING MOISTURIZER! 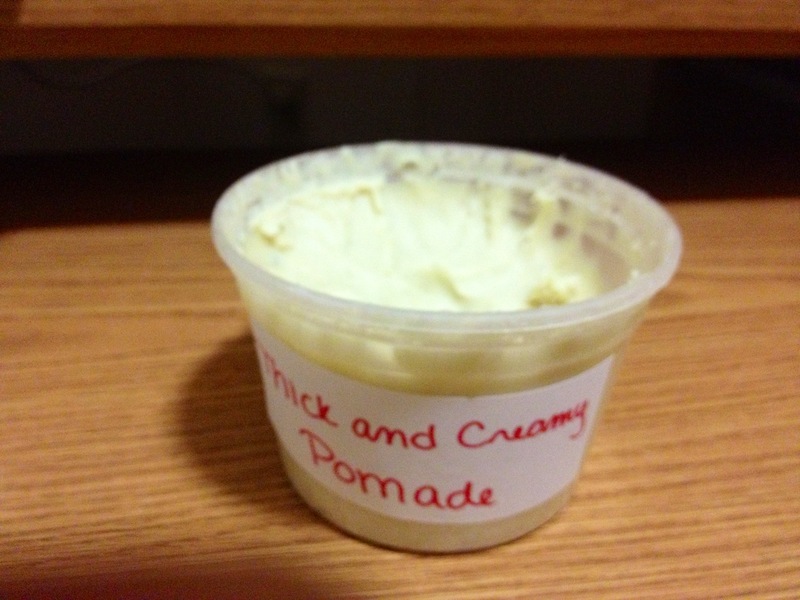 Unlike the Thick and Creamy Pomade this moisturizer is Coconut Oil based and is surprisingly light. I had a hard time learning how much I should use in my hair. I admit, I’m very heavy handed with my moisturizers, because I always feel like my hair is dry when it isn’t. So, I added way to much and it made my hair heavy and greasey.Once, I learned the correct balance to use, it was moisturized for days! And I don’t need to use a lot at all. It’s not meant to be a styling product but, it gives my styles that extra hold without my hair heavy. Try both recipes and tell me what you think of it! I hope this helped and if you have any questions, leave a comment below or message me here.